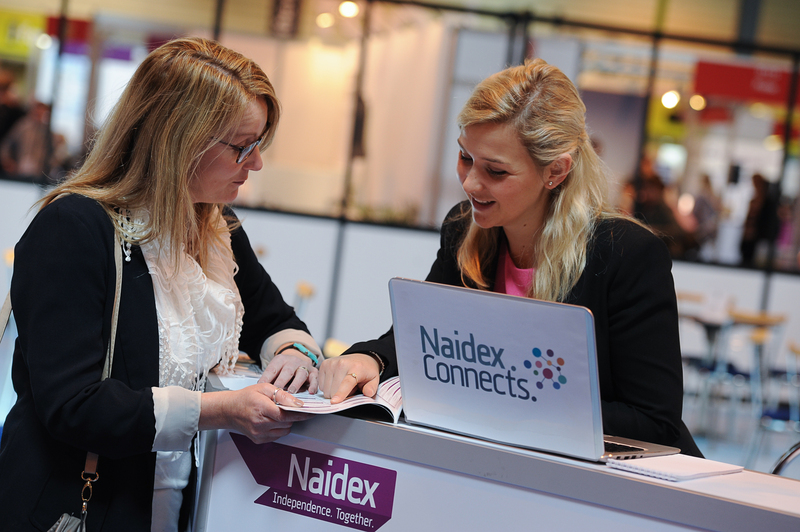 Naidex completed its residence at the NEC last week with its biggest yet speaker programme (over 100 speakers), more trade networking with many successful facilitated meetings held onsite and more business features than ever before. 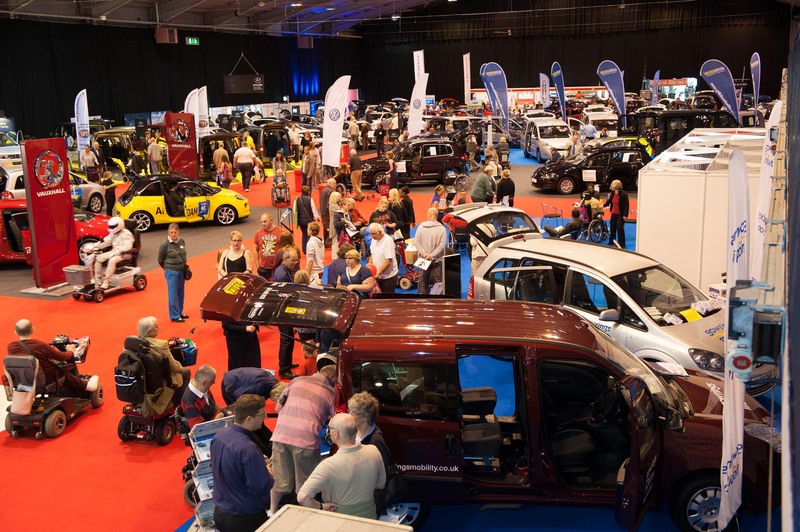 Naidex also attracted many local authority community equipment buyers – it remains the only event supporting the trade sector, healthcare professionals and end users and is the UK’s largest event for independent living. Novelist Valerie Blumenthal, former world champion mountain bike trials rider, Martyn Ashton (on RGK stand), Jody Cundy MBE (with Chartwell Insurance Services) and Paralympic gold medalist, Josie Pearson MBE (with ‘get living it’) also shared their stories at Naidex. Furthermore, the Naidex Ambassadors met with 13 Local Authorities and business leaders on how best to spend the £10,000 Naidex fund. There was widespread agreement that a public awareness campaign to help end users, their families and carers source information, products and advice was most important. It will be a unique Local Authority and business joined up effort to help demystify the commissioning and care system to support longer term independent living at home. More details will be announced soon. Matthew Tingey, event director said: “It’s been incredible to hear so many inspirational stories and see how the independent living sector is evolving to develop new products and services to help enable people to live independently at home for longer. We’ve created so many new features, from the Product Forum Stage to the facilitated meetings at Naidex.Connects., which were a huge success and have been warmly welcomed by the Naidex exhibitors and visitors. The OT theatres and healthcare seminars have again been packed out, along with the specialist Community Equipment Professionals’ Forum and other specialist meetings. 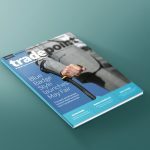 Trade visitors enjoyed the most successful trade programme to date with a range of new features, including the first Naidex.Connects., which secured around 115 facilitated meetings for retailers and dealers. Trade networking opportunities and training also increased this year, with the new Community Equipment Professionals’ Forum and training workshops from Foundations. Foundations, the national body for home improvement agency and handyperson services, ran the popular free training workshops with AKW on 28 April for technical officers, Occupational Therapists and other healthcare professionals involved in the design and project management of adaptations. 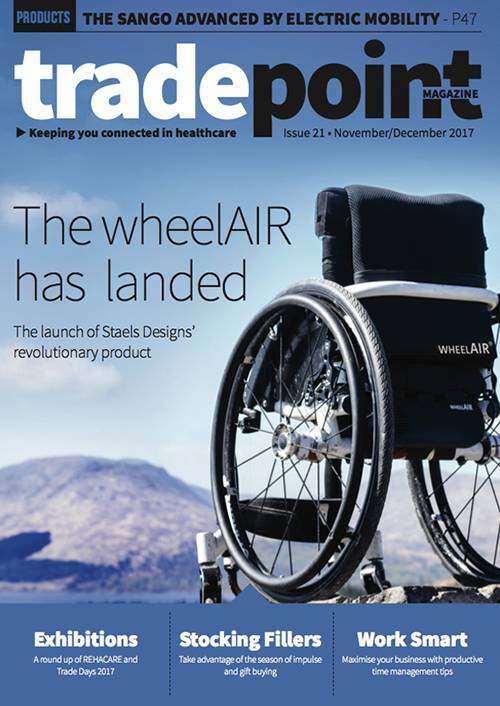 A wide range of new products and services were also launched at Naidex, including Gyroset™ from Now Technologies Ltd (integrated wheelchair control platform enabling people with tetraplegia and other disabilities to live a fuller life) and the new shock-absorbing Loopwheels for wheelchairs. Loopwheels also won the ‘Able Best in Show Award’ for their new innovation. Gemma Pearce, their communications and marketing manager said: “We have launched our product Loopwheels here at Naidex and it’s been a brilliant show for us. The CPD accredited seminars across Naidex (in the theatres and on exhibitor training stands) proved popular, with standing room only for many in the COT theatres across the three days. Naidex remains a strong partner of the College of Occupational Therapy (COT) with sponsorship confirmed for their summer conference in 2016. 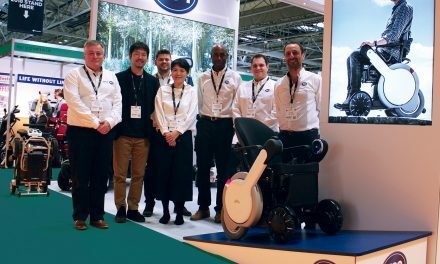 The National Wheelchair Managers Association AGM also took place at the show with members in attendance from other Naidex partners, including Foundations and the British Healthcare Trades Association (BHTA). 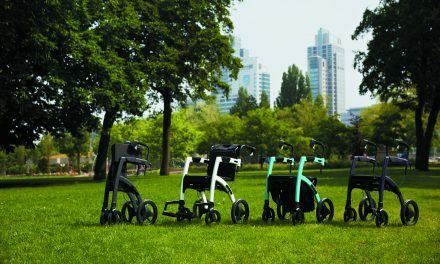 Naidex returns to the NEC, Birmingham from 26 to 28 April 2016, in halls 6 and 7. For more information go to www.naidex.co.uk.